It’s been three months since the discovery of the shoddily translated article allegedly revealing Google’s plan to develop its own tablet. Promising “brutal competition between Apple and Google Android,” Executive Chairman Eric Schmidt led many to believe that a wholly Google tablet—reportedly bearing the “Nexus” brand—would be on the market, ready to compete with Apple, within the next six months. Naturally, it came as a bit of a surprise when subsequent reports revealed that Google was likely working on a 7-inch, Ice Cream Sandwich-powered tablet, bearing a price tag not unlike that of Amazon’s Kindle Fire. Although the Kindle Fire’s operating system is far departed from the Android code from which it is derived, the idea that Google would bypass an opportunity to answer the iPad for a more cannibalistic strategy struck me as odd, to say the least. A Wednesday report, however, shows that my initial concerns apparently aren’t shared by Google. According to popular Android blog Android and Me, Google has continued making steps toward producing a 7-inch tablet whose price tag may drop as low as $149. And it still might even be ready to go by the six-month mark! Furthermore, the report reveals that Google won’t be going it alone after all. Although the new tablet will still allegedly bear the Nexus brand, Google has chosen ASUS to help. 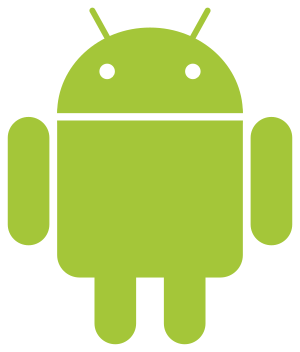 “This has been the hottest Android rumor of the month so we have continued to ask around and dig up more details,” Taylor Wimberly continued. The ASUS MeMo 370T that was revealed at CES has been scrapped after Google contracted with ASUS to produce their “Nexus tablet.” Earlier reports said the device would retail for $249-199, but we are not told the target price is $149-199. The quad-core Tegra 3 version that was previously leaked is no more. Other than the 7-inch display, no additional information has been provided on the specs. And yet, granted the lengthy discussion that Google has allowed to continue without so much as a murmur of denial, such discussion of a supposed “done deal”—as our nameless, faceless source called it—does not appear to be without merit. After all, at this rate, if Google is going to be able to convince consumers to buy into their content instead of Apple’s or Amazon’s, a cheap tablet may be their best bet. Assuming this rumor is true—a personal struggle at the moment—I can’t help but agree with him. As consumers become more deeply invested in non-Google ecosystems on their tablets—specifically, where users turn for movies, books, music, and the like—it’s going to take a superior effort such as this for Google to win a significant portion of the market. Do you think Google will be able to pull off such an impressive feat? Share your point-of-view in the comments below.